Bend, OR – January 2018 – Broad Sky Networks, the nation’s leading provider of innovative wireless connectivity solutions, today announced the expansion of its executive leadership team with the hiring of Ron Ireland as its President. 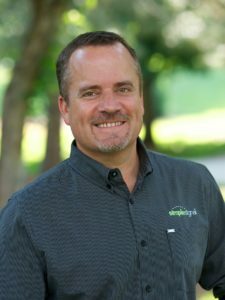 Ireland, previously the Senior Director of Channel Development at Vonage Business, brings 20 years of expertise to his new position where he will be responsible for the company’s growth strategies, operational improvements, and sales channel optimization. A tenured channel veteran, Ireland previously served as the President and CFO at TMC Communications and as CFO at SimpleSignal, which was later acquired by Vonage. With his proven track record for growing channel-focused companies, Ireland is enthusiastic about his new opportunity with Broad Sky Networks. Broad Sky has seen tremendous growth recently, landing the company on the Inc 5000 List of Fastest Growing US Companies in 2015, 2016, and 2017. The company’s strategic approach to the market, valuable channel relationships, and specialty in the area of 4G/LTE wireless for M2M and IoT equipment are the primary drivers of recent company growth, according to Broad Sky CEO, Mike Mudd. Broad Sky Networks is a single source for Business Class Wireless Internet Solutions. Specializing in the area of 4G LTE wireless Machine to Machine (M2M) and Internet of Things (IoT) equipment and services as well as VSAT. Broad Sky offers a multi-carrier solution that is seamless to the customer providing the best service at each location. Broad Sky offers bundled services with the best in breed hardware for a $0 CAPEX package which allows for easily deployed primary or business continuity services on any budget. Broad Sky’s M2M platform provides secure, reliable wireless connectivity to mobile and fixed devices with the greatest coverage in the United States and Canada. Broad Sky is the leader in Wireless solutions for Continuity, Primary, Temporary Deployments and IoT Solutions earning them a spot on the Inc 5000 list in 2017. To reach Broad Sky call (877) 291-9575 or e-mail sales@broadskynetworks.net.